We have concluded some new pricing arrangements with Drytac for laminates, liquid laminate machines, windowtac, etc. This will give you reseller prices which, should mean lower costs for your bureau. They also include extra wide format coaters in 1600mm and 2200mm widths (see Drytac AFC1600 attached). These may well interest those of you with flatbed machines. Please let Graham know if you are interested as there maybe further discounts available if we buy 2 or 3. Please look through the details below. We hope you can support this deal and would appreciate any feedback from you as to how competitive these prices are. Credit & Debit Card Service provider. 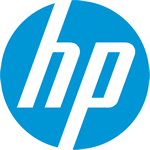 ALL HP and Canon price lists will now appear in one combined GDL order form. Download the order form below and send it to orders@gdlnetwork.co.uk. Goods will be despatched to you directly and you will be invoiced by GDL. When it comes to you making an order, the format of the form is basically the same however if you get stuck, there are instructions on how to fill it in on tab one. An extra column has been added to the HP Media/Consumables price lists for you to use when ordering inks that qualify for MVC rebates for use in your own bureau. Please read the instructions on the top of the order form for full details of how to use this. Please note that Kernow can supply the Hydro Print 195 micron material in 50m rolls but made to special order, so allow a few days for delivery. See attached price list and note that the prices are in the D Band and that there is a pallet price (8 rolls). Please note that the 1270mm width is no longer available in 195 micron. Also, they are talking of a 3% price increase on the materials from 1st March, so you might want to get some stock before then.